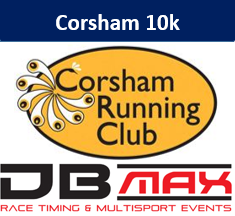 Corsham 10k Road Race and 2k Run 2019 Sunday 28th April 2019. The Corsham 10K and 2k Run is now in its 37th year, organised by members of the Corsham Running Club. It is one of the biggest 10K's in Wiltshire, with both races attracting a total of 1400 runners. This year all finishers of the 10K will receive a bottle of local beer*, a T-shirt and a medal - designed specially for 2019. Entry to the 2k Race will commence at 9.00am on 28th February 2019, and is open to runners aged between 5yrs (on 31.12.18) and under 16yrs on race day (28.04.19). Only those with race numbers will be permitted to run the course, although supporters and spectators are very welcome. As in previous years, the maximum number of runners is 200. The entry fee will be £5, which includes chip timing and finish photos.